Blog you, you blogging Blog!!! 2 iPad minis, 2 iPhones and a camera! If you can remember when nobody owned a smart phone, can you remember what it was like to travel? You would either have to know the route or stop at a gas station and buy a map. Or God forbid stop and ask directions from someone. 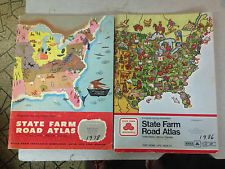 Remember the old travel atlas you would buy from Wal Mart or get from your State Farm Agent? Well? Times have changed. Tablets/laptops and smart phones are pretty much all you need when you travel nowadays. For us, a couple of iPads and iPhones will be a challenge. I can’t remember the last long trip we’ve taken and not brought along a laptop. I’m a gadget person and I’m already having to change my stubborn ways when it comes to traveling with my laptop. I’m going to try and keep this blog up to date using the iPad. I’m going to take along a bluetooth keyboard so I don’t have to type on the iPad. I like the feel of a real keyboard. It’s not as easy as typing on a full keyboard but you have to make some sacrifices so you aren’t bogged down by the size and weight of a laptop. The camera is a Lumix/Panasonic DMC-ZS40. It’s a pretty standard compact camera. I bought it because a) it was a good deal at Costco, b) it had some really good feedback on the internet, c) it has GPS! and d) it has a 30X zoom. I’ll talk about travel photography and some travel apps we will use on our trip in the blogging blogs of the future. Posted in World TravelTagged gadgets, GPS, iPad, iPhone, Lumix, Panasonic, Photography, State Farm, Travel electronics, Wal Mart, World TravelBookmark the permalink. Clothing, clothing and more clothing.